The 2018 Dodge Challenger is a sports coupe muscle car manufactured by the automaker Dodge. It is among the most popular vehicles due to its performance and style. When looking to get a 2018 Dodge Challenger in Albuquerque, you will want to consider either buying or leasing the vehicle. While buying this car is the most common option that people choose, there are a number of benefits to leading the vehicle. Many consumers will wonder why lease the Challenger. The reasons to lease a Challenger include saving money with a lower monthly payment, being able to get an updated model every three years and also having all of the maintenance costs covered under warranty. Consumers who are in the market for a new Challenger will want to visit any Dodge dealership serving Albuquerque Santa Fe Los Lunas and lease at Melloy Dodge. 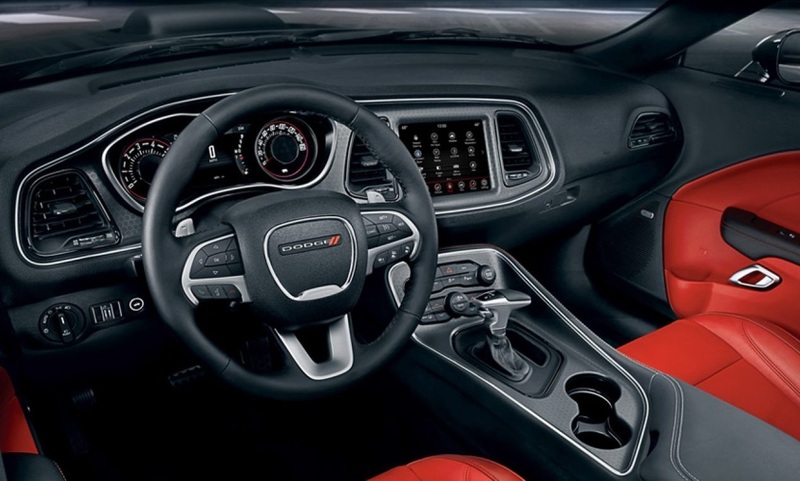 With the 2018 Dodge Challenger, the interior features are one of the reasons why you will want to lease this vehicle. The seating of the Challenger includes a 60/40 split rear folding seat along with seats that come in either cloth or leather. The leather seats can be either cooled or heated which will provide extra comfort for both drivers and passengers. All of the seats are sturdy and contoured which will fit snugly around the back and torso of those who sit in them. The Challenger also includes features such as a power 4 way driver lumbar adjust, a power 6 way driver seat and a seating capacity of 5 people. In the interior of the Challenger, there is also a touchscreen that provides access to radio play and a USB port to play MP3 files. A Challenger also includes a backup camera for enhanced visibility when backing out the car. The exterior of the 2018 Challenger is quite stylish and appealing. It has the look of the original Challenger of the 1970's with a more modern design. At the front of the car is the metal grill along with the front lights. The lights are in LED along with providing more enhanced visibility in the fog. On the back of the car is the trunk along with the back lights which provide visibility for other drivers behind you. The wheels of the car are made up of 18 inch satin carbon aluminum. There is also the option of 20 inch aluminum wheels as well. You will also get all season performance tires, a spare tire and a tire kit which can be used to provide assistance with changing any of the tires. The Challenger also comes with rear spoilers to enhance performance, body color mirrors auto dimming rear view mirrors and all mirrors that are power controlled. 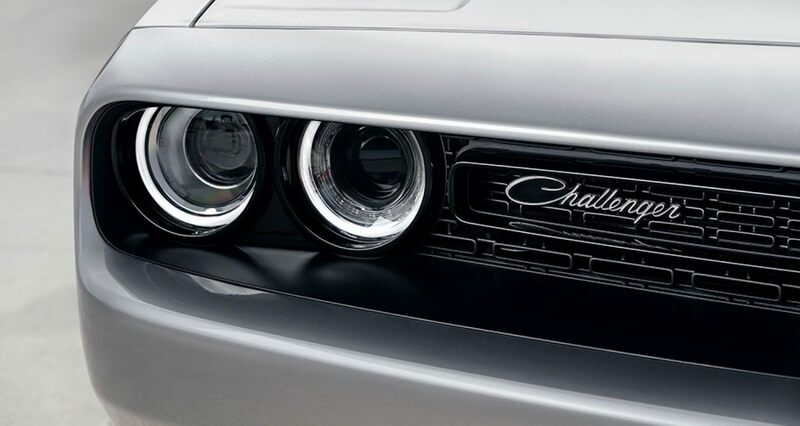 The 2018 Challenger's mechanical features are comparable to other vehicles in the muscle car class. It has a standard 160 Amp alternator, a 175MM front axle and a 2.62 rear axle ratio. With a Challenger, you will also get a 730 Amp maintenance free battery, electric power steering and an engine oil color. The car also comes with rear wheel drive which is standard among sport coupes. With these mechanical features, the 2018 Challenger is among the most durable and efficient vehicles in the segment. When it comes to the powertrain of the Challenger, there are certain features that make it stand out. There are a number of engine options that consumers can get with this car. The base model SXT model has a 3.6 liter V6 engine that has 305 horsepower and 268 pounds feet of torque. There are also other engine options that come with the RT, RT Plus and SRT and Hellcat models. The RT model has a5.7 liter HEMI V8 engine that has 372 horsepower and the SRT, Hellcat and Demon models come with a 6.2 liter V8 engine that has up to 808 horsepower. A challenger comes with either an 8 speed automatic transmission or a manual transmission as well. There are number of safety features that come with the 2018 Challenger. The standard safety features of the Challenger include active head restraints, a 3 point center rear seat belt, advanced multistage front airbags and all speed traction control. A Challenger also comes with blind spot and rear cross path detection, a brake/park interlock and a child seat upper tether anchorage. There are other features such as dual note electric horns, electronic roll mitigation, electronic stability control and keyless entry. 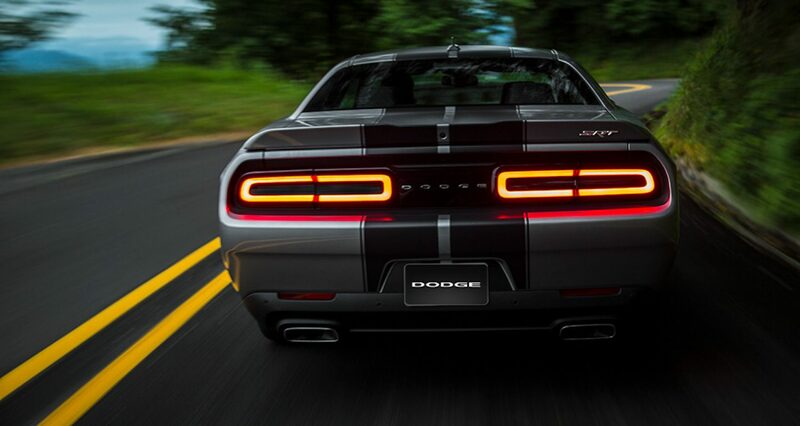 A Challenger contains ready alert braking, remote keyless entry, a backup camera and rain brake support. The 2018 Challenger also includes speed control, airbags and tire pressure monitoring. When looking to find out why lease a Dodge Challenger, there are a number of answers to that question. 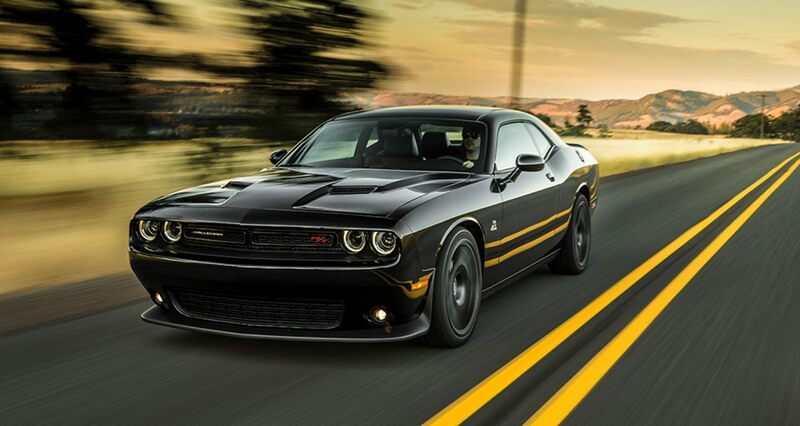 The Challenger has many features that make it one of the top choices in the muscle car segment. With these features in mind, you will want to get more information about this unqiue car. The first step in leading a 2018 Dodge Challenger in Albuquerque is to contact a local dealership serving Albuquerque Santa Fe Los Lunas. At this dealership, you will be able to get valuable assistance from one of the salesmen and staff members. After getting the information you need to learn more about the Challenger, you will want to come in for a test drive to get a feel for the car and how it drives. Once you determine that the Challenger is a comfortable car to drive that meets your needs, then you will want to lease at Melloy Dodge to begin enjoying the many benefits of driving a new Challenger.